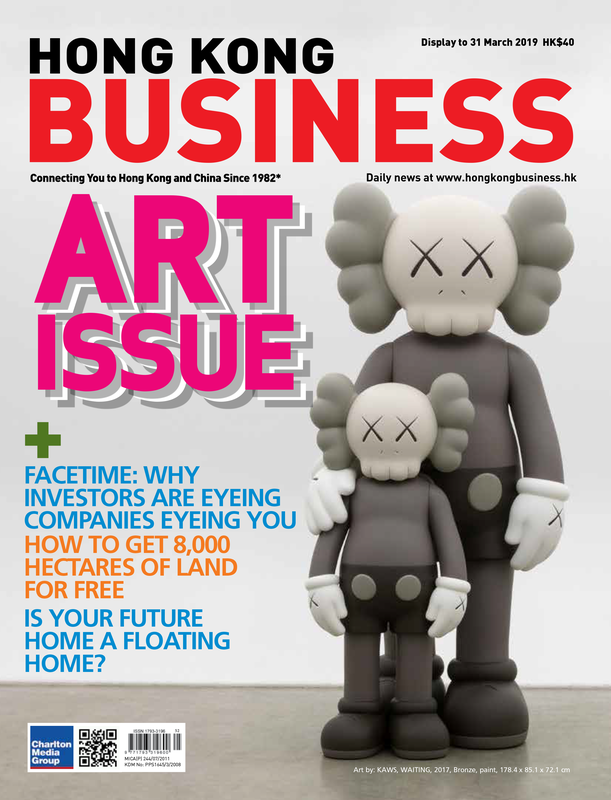 F&B and healthcare sectors will provide key support to the retail leasing market. 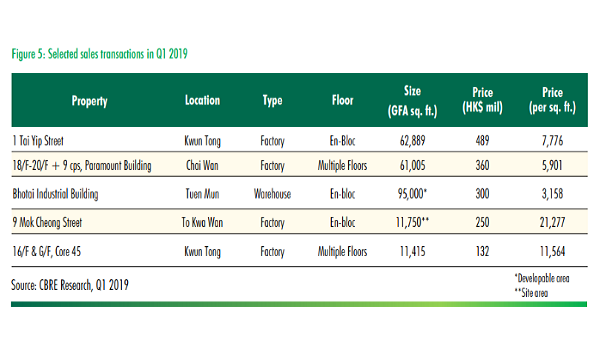 Retail rents will remain level in 2019 as steady consumer demand for food and other daily necessities looks to prop up retail leasing despite uncertainties in trade and Mainland China growth, according to a report by CBRE. "As demand for large flagship stores weakened, landlords are more likely to subdivide retail floors into smaller units to seize tenants. Pop-up stores will continue to be embraced by retailers to test new products," said Lawrence Wan, senior director, Advisory & Transaction Services – Retail, CBRE Hong Kong. Wan reckoned high street and shopping centre rents will stay flat in 2019 even as economic uncertainties dampen spending on discretionary goods. He added that foot traffic will benefit from the improved connectivity within the Greater Bay Area following the opening of the High Speed Rail and the Hong Kong-Zhuhai-Macau Bridge. 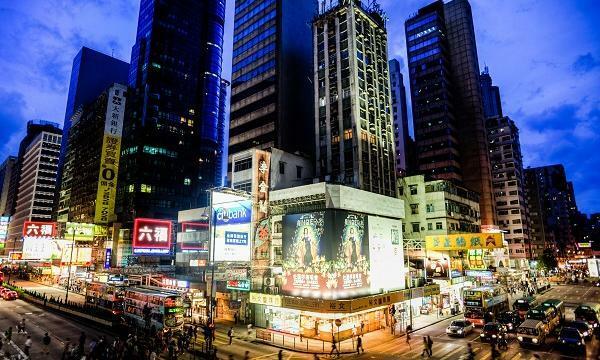 The two high-profile infrastructure projects buoyed visitor arrivals to Hong Kong in 2018 to surpass the annual record set in 2014, CBRE noted. However, overnight visitors' per-capita spending has not recovered to levels seen four years ago. With the upswing in Mainland China visitors to Hong Kong, total retail sales in the island in the January-November 2018 period grew 9.7% yoy, improving from the 2.2% yoy rise in the full-year of 2017. Tourist-oriented sectors such as watches & jewellery, as well as non-luxury goods including medicines & cosmetics and electrical goods, all posted double-digit annual growth in the first 11 months of the 2018. 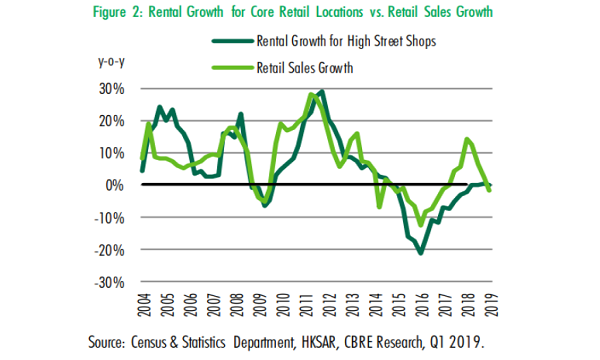 As retail sales recovered in 2018, retail rents rebounded to marginally positive territory, inching up 0.2%. This marked the first positive growth figure after four consecutive annual declines, the property research firm said.